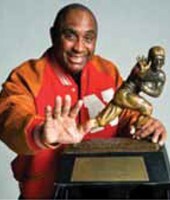 Nicknamed “The Jet” for his rapid speed on the field, Johnny Rodgers won the Heisman Trophy in 1972 then played in the Canadian Football league. He later joined the NFL until a knee injury ended his career. Only after several years of operation and rehabilitation did his knee return to normal. Rodgers spent eight hours at the Advanced Surgery Center in Omaha. He received a spinal block instead of general anesthesia and nurse visits that provided similar clinical care at home as he would have in a hospital. “I was surprised when I was done with surgery that I didn’t have a lot of pain. I even went to my office that afternoon and walked the halls to show everyone I just had surgery and was feeling great,” Rodgers said. It has been one month since his surgery and he has been undergoing physical therapy to return to activities he could not do before surgery. Both Rodgers and Dr. Boese agree that he is doing better than expected. “I had a great experience and would recommend it to anybody,” claims Rodgers. Outpatient total knee replacement is not a new procedure and has been conducted in larger cities for years. “Not every patient who is interested will qualify. We look for patients who are very motivated to return to activity better than pre-surgery and who can follow post-surgical requirements. 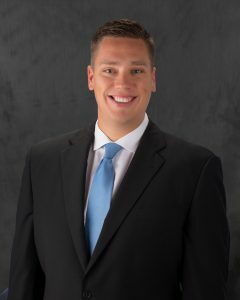 Someone who is reasonably in good physical condition and has a strong support system in their home for an extra set of eyes and hands to help after surgery is important too,” says Dr. Boese. A research study published in the Journal of Arthroplasty in 2014 showed costs for outpatient total knee replacement are significantly less than an inpatient total knee replacement. Another study indicated no differences in long-term complication rates between patients undergoing outpatient total knee replacement versus inpatient total knee replacement. For more information, visit our outpatient total knee replacements page. The phone number to the main clinic in Council Bluffs is 712-323-5333 and the Omaha office is 402-991-9958. Several physicians within Miller Orthopedic Specialists, Drs. Boese, Abraham, Trinh and Atteberry, perform this procedure. Convenient locations are available with twelve outreach clinics throughout Omaha, Council Bluffs and Southwest Iowa. Miller Orthopedic Specialists has served the Council Bluffs/Omaha area for over 40 years. The goal is to restore patients to optimum health quickly and safely. Click here to see our ad about outpatient total knee replacement. Contact us for more information about how we can help with your knee replacement.